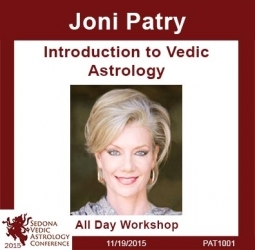 Joni Patry is one of the most recognized teachers and Vedic astrologers in America. She was a faculty member for ACVA, CVA and Instructor for online certification programs. She has published many books, journals and has appeared on national and international television shows. She has been the keynote speaker for numerous international conferences. Joni also has a Japanese website, writes for Saptarishi in India, and for Faces in Turkey. 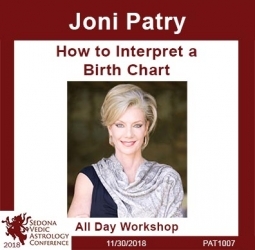 She specializes in astrological predictions for sports, financial, and world events. 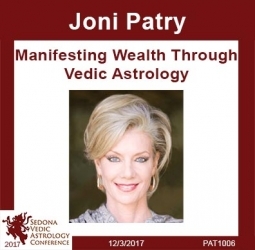 Joni will demonstrate how to predict the volatile cycles of Cryptocurrency using the planetary cycles and eclipses. Examples of bitcoin and other currencies based on the Moon and retrogrades can determine the erratic cycles of the economy as well as these cryptocurrencies.